Welcome to the companion website for 'Environmental Biogeography'. Chapter outline - to refresh the memory and to make sure you're in the right place for what you want! Websites - major sites that we think can help. Alternatively, for a wider selection of reviews and websites, try here. As with all projects - it's a team effort so if you find something that would be useful to other people then please let us know. Update: February 2008- major review of literature being carried out - check for chapter revisions. 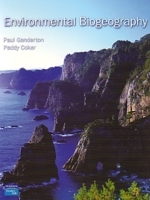 Chapter 1 - What is Biogeography? Chapter 2 - Issues in biogeography. Chapter 3 - The physical environment. Chapter 4 - The biological environment. Chapter 5 - Putting it together - biodiversity, classifications and ecosystems. Chapter 6 - Global patterns in biogeography. Chapter 7 - Studying and describing vegetation. Chapter 8 - Studying animals and their distributions. Chapter 9 - Responding to conditions: environmental factors and gradients. Chapter 10 - Quantitative and statistical methods - an introduction. Chapter 12 - Environments under threat - the biogeography of change. Chapter 13 - Fragile environments: the biogeography of existence. Chapter 14 - Looking at the past - human impact on biogeography. Chapter 15 - Environmental change and conservation. Chapter 16 - Looking forward - prospects for biogeography. In Memoriam - Dr Paddy Coker died shortly before this book and site were published.